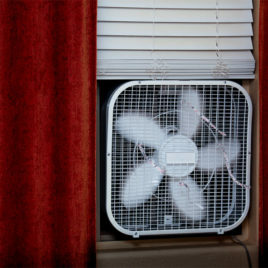 Here is the amazing sound of a box fan in a window on a rainy day. 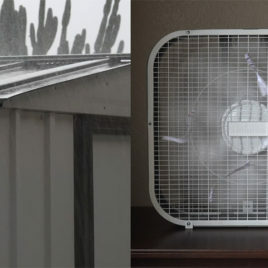 Box fan and rain sounds together! Preview the entire sound in the description below. 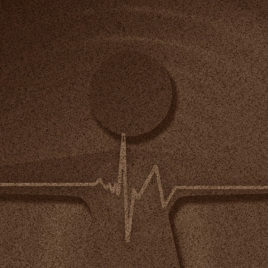 Did I just call this brown noise a miracle? Yes. I did. It sounds crazy, but listening to this sound can have an amazing effect on you. It is so surprisingly relaxing. I actually like it much better than white noise (yes, there is a difference). White noise seems much more harsh to me. This brown noise seems much softer and more relaxing to me. 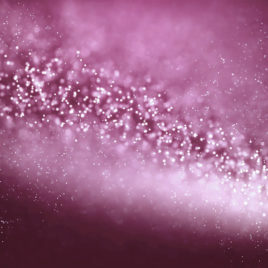 It can also be used by many people for temporary relief from the symptoms of tinnitus. Tinnitus is that "ringing" in your ears. It can even be used to help babies fall asleep. See? Miracle. Preview the sound in the description below. 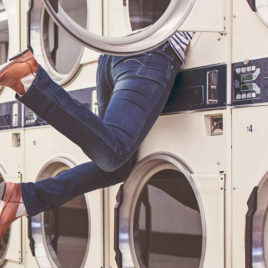 Drift off to sleep with this surprisingly soothing sound of a tumble clothes dryer. There is something about that repetitive rotating drum sound that really gets you. Preview the sound in the description below. 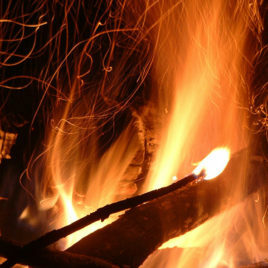 Imagine yourself next to a nice warm crackling campfire by a lake. Best part: No mosquitoes. Just a relaxing fire. You can also hear some crickets and frogs nearby. Preview the entire sound in the description below. 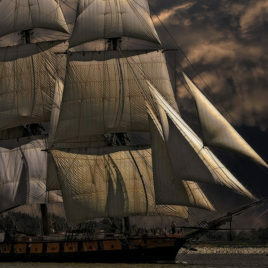 Relax or meditate to the fun soundscape of the sound of waves splashing against a wooden sailing ship during a thunderstorm. The rain and thunder sounds really paint that picture for you. Allow yourself to be taken away on a rough sea, creaking wooden ship adventure. Is it a pirate ship? Did I just say too much? Preview the sound in the description below. Love boats? This fun sound features the sounds of being on board a small motor yacht at cruising speed. 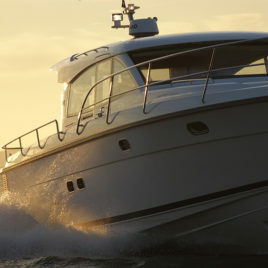 Enjoy the extra sound of the water and small waves splashing against the hull. Its just like when you head out to your private island. Preview the entire sound in the description below. 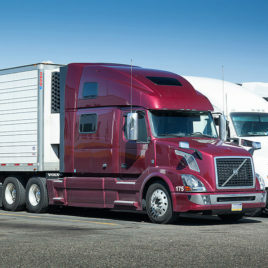 Here's a thank you to all the diesel truck drivers out there who have trouble sleeping when they are aren't on the road. Do you like food, having a roof above you, or wearing clothes? Thank a truck driver. That computer you are looking at didn't get to your house via magic flying unicorn. Somewhere along the line, there were some truck drivers involved. Give this interesting sleep sound a try. It may just let you get to sleep when you aren't on the road. The combination of the mechanical sounds from a factory with relaxing rain is actually very nice. If you've never thought of factory noise as relaxing you should have a listen to the preview below. The repetitive mechanical sounds can be very soothing. Rain is always soothing. Put those two together and you have something special. Preview the entire sound in the description below. 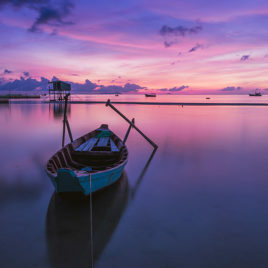 This relaxing music is wonderful for your morning meditation. Of course, it is good for almost any kind of relaxing. It also features very relaxing birdsong and nature sounds in the background. Preview the entire sound in the description below. Looking for a substitute for plain old white noise? Try pink noise. I find it much more relaxing that normal white noise (yes, there is a difference). I think pink noise is a little less "harsh". Try playing in the background of a room to calm a crying baby and get them to sleep. You might be surprised how well it works. Preview the entire sound in the description below. This relaxing sound feature two great sounds combined: The sound of rain and thunder on a tin roof storage shed, and the sound of a box fan in the window. Both of these sounds are relaxing, but together they are just awesome. Have a listen! Preview the entire sound in the description below. 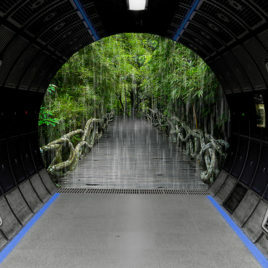 Take a journey out to space and take a walk through the space station's greenhouse rain forest. This relaxing sound feature the hum from the engine and mechanical systems as well as the dripping water from a recent rain. Enjoy! Preview the entire sound in the description below. 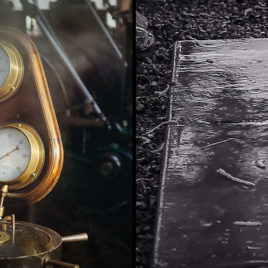 Digital audio downloads featuring the sounds of rain, rain & thunder, fan, motors, boats, campfires & other great sounds to help you sleep through the night.